Your coach has given you a number of years of joy on the road. Isn’t it time for a remodel or some customization to make it unique and truly yours? Assuming you like the basics of your rig – this is a time where you can make some changes to suit your changing needs. If you haven’t already, you will want to upgrade to flat screen HDTV. You can keep your surround sound or upgrade to the system of your dreams. Cabinetry can be cleaned or resurfaced. You may wish to go with solid surface counter tops and upgrade your appliances. And this is the perfect time to upgrade your flooring with new carpet, wood or heated tile. When you plan a remodel with Truline RV we can sit down with you and discuss your vision – from what is needed to your full-on wish list. Sit down with fabrics, counter and wood samples and imagine how your updated coach will look. And if you have a special project in mind – we can render it in 3D so you can see it as it will be built. You won’t have to worry and wait until it’s done to see if you like it. 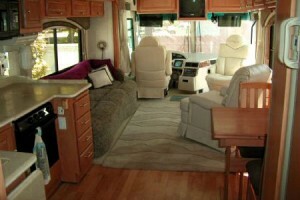 Remodeling is a great way to renew your RV. And you can save a lot of money in the process. 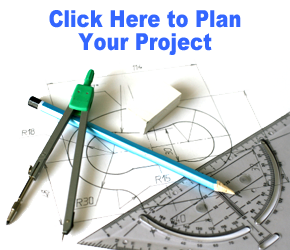 CLICK HERE to see some of our Remodeling projects.